In the U.S. we now are governed and adjudicated by those who want to “fundamentally transform” the world around them. For these morally adrift flotsam and jetsam of embattled truth, the ends justify the means. For them, right or wrong considerations are the millstones which keep them from reaching the distant shores of their island utopias called ‘Freedom’ and ‘Rights’. Our world in almost every aspect has been turned upside down by moral relativism. One prime example: criminals (and illegal aliens this very day, too) are now considered the victims by many judges. Unconstrained judges will often base their final decisions on the fatuous reasoning of rationalism’s social scientists – ‘scientists’ who paint family background and poverty scenarios with a blind eye to the true victim. The resultant formulation: a sliding scale of ad hoc “social justice” created by the calculus of personal ambitions, ambitions of the judge who is being watched by the attention-seeking liberal media, the ‘acclaimed’ ‘social’ ‘scientists’ and cocktail party sycophants. Willfully the social do-gooders replace personal responsibility and consequences with an “I’m OK Your Ok” “fog and filthy air” therapy. Mind altering anxiety killing pills are prescribed to deal with guilt. Heaven forbid that a person encounter and understand the consequences of their actions. Shakespeare’s The Tragedy of Macbeth is an excellent example of the very human tragedy that is the result of good people crossing a line to make evil choices. And, after having read several of Shakespeare’s plays, it would seem that Shakespeare knew more about humanity than any ‘social scientist’ who has ever published. The Bible being unquestionably the authority, The Book, about mankind. Moral relativism, a synthesis of good and evil, makes the line dividing good and evil murky. And, in these days of Progressivism’s Pontius Pilate-like questioning, “What is truth?” it has become increasingly difficult to see the delineation between good and evil. The “fog and filthy air” of moral relativism must be seen for what it is – the admixture of good and evil. The opening quote, spoken in unison by three witches, is from the opening of Shakespeare’s play The Tragedy of Macbeth, Act One, Scene 1. The foreboding first scene takes place on the heather moors of Scotland under a stage setting of “Thunder and lightening.” The imagery throughout the play is of night, of darkness, of man’s dark nature, of blood, of distortion. In other words, the play brings to ‘light’ the evil overcast in men’s souls. 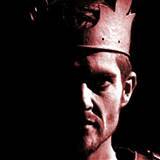 Macbeth, a Scottish General and the thane (a noble) of the village of Glamis in Scotland, is the main character. In the play’s opening scene Macbeth is the subject of a plot by three witches. He is to be encountered by them in an open field after he has completed a battle. Their reason: the witches want to give Macbeth their ‘prophecies’ right after his victory while the won battle is fresh in his mind and his pride is stoked. At the end of the brief opening scene that the witch’s animal ‘spirit lords’ call to them and they fly away. Act One, Scene 1 ends portentously. Evil is in the air. The witches are the harbingers. The play is a tragedy about its eponymous main character facing the battle line within his heart. He begins as a noble and valiant warrior for Scotland. He starts out as good. He knows right from wrong; He fights for the good of all Scotland with all his might. But things begin to change after he returns victorious from a recent battle for Scotland. Macbeth walks into the aforementioned open field with his battlefield companion Banquo. The open field context could appear to them as a broad daylight moment and therefore any ‘truth’ would be clear to see. Yet it is not. For the three witches this is perfect timing to speak their prophecy. Its appeal goes directly Macbeth’s pride and to his grandiosity after having gained victory on another field. By telling Macbeth and his companion that they will rule Scotland each in their own way their imaginations begin to run wild. Reason also begins to plot as to how to ‘cross the line’ into royalty. The two men, warriors and servants of the King of Scotland, having just come from battle for their current regent Duncan now hear that they, too, will be regents. They begin to imagine that they are ‘meant’ to have what others have. So, they are told. If you trust what they say, you might be on your way to becoming king, as well as thane of Cawdor. But this whole thing is strange. The agents of evil often tell us part of the truth in order to lead us to our destruction. They earn our trust by telling us the truth about little things, but then they betray us when it will damage us the most. What a perfect description of the enticement of moral relativism that leads us to ruin! To speed up the process of becoming a regent (no time line was given by the witches) Macbeth crosses a line and chooses a path of evil. The evil compounds quickly into greater evil when Macbeth sends a letter to Lady Macbeth. Lady Macbeth quickly embraces evil after reading the letter from her husband reciting the witch’s prophecies. (She, obviously, like Macbeth, doesn’t consider the source. Moral relativism has a penchant for this.). Lady Macbeth is stricken by the idea of being royalty and invites evil in, desiring to enable her husband to become king of Scotland. In doing so, Lady Macbeth becomes the very image of subjecting one’s self to evil in hopes of achieving ‘gain.’ She embraced the lie that evil brings right to your door step. Lady Macbeth, consumed by evil, question’s Macbeth’s manhood when he waffles considering what must take place for his ‘prophetic’ rule to occur. The play stages many of the elements and images of evil. Macbeth’s machismo, his masculinity is questioned by an evil embracing wife. There is guilt and paranoia, blood shed, ghosts, complicity in doing evil, delusional thinking leading to madness, remorse leading to suicide, darkness – all the time. Let it be known: evil hates the light of day. At this juncture in the post I do not want to reveal and dissect the whole storyline or make this post longer than the play itself. I suggest reading the whole play in one sitting. It is a short, fast paced tragedy. And, I suggest, if you haven’t read Shakespeare’s plays then do what I have done: read the plays from the very accessible, inexpensive series of books called No Fear Shakespeare. As the cover relates: “The Play Plus A Translation Anyone Can Understand”. Can man remake himself with pills, through better institutions, by labeling himself a “deserving” person or by removing a psychopathic bent from the DSM? Can man rule in life by crossing the line in his heart from good over to evil? Progressivism, materialism and evil itself would suggest it is possible. Yet, in doing so one is radically and “Fundamentally Transformed” as are the lives of those around them. Was not Christ tempted by Satan in the same way as we are? There is no namby-pamby Jesus or cheap Unitarian grace where good is mixed with evil. “…Again, the kingdom of heaven is like a net that was thrown into the sea, and collected every type of fish. When it was full, the fishermen brought it to shore. They sat down and selected the good ones, which they put into a bucket; but they threw out the bad ones. That’s what it will be like at the close of an age. The angels will go off and separate the wicked from the righteous, and they will throw them into the fiery furnace, where there will be weeping and gnashing of teeth. You have a choice. Don’t let anyone conjure up excuses for you. You have a choice. Macbeth is a play written by William Shakespeare. It is considered one of his darkest and most powerful tragedies. Set in Scotland, the play dramatizes the corroding psychological and political effects produced when its protagonist, the Scottish lord Macbeth, chooses evil as the way to fulfill his ambition for power.